In this issue, we share something about each of the clubs that operate within the Brigade. The clubs offer a range of different opportunities for young people and leaders to get involved with and we encourage you to consider how they could support your Company programme. In 1982, Muriel Ellis, the former Brigade Archivist, started The Boys’ Brigade Badge Collectors’ Newsletter. Gradually a Collectors’ Club was developed, for those interested in Brigade memorabilia and history. By January 2016 it became apparent that, rather than simply collecting items, people were more interested in the rich, valuable heritage of the Brigade, preserving our irreplaceable historical material, and learning lessons from the past, to inform the present work of the BB and to help shape its future. Accordingly, The Boys’ Brigade Heritage Society was formed. Members receive a quarterly newsletter and have an annual members’ badge. New members are always welcome. For more information Contact Colin Swinton at ctkswinton@gmail.com. 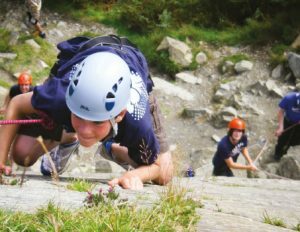 Founded in 1965 by Ted Ward of 2nd Runcorn Company, it was his idea to create a club that challenged young people to take part in the adventure sport of mountaineering. 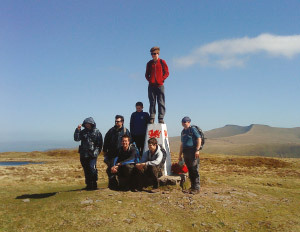 The club has qualified leaders in both mountain walking, lightweight camping and rock climbing and all these aspects of mountaineering are available to its members. Training and assessment courses are available for anyone wishing to gain the Brigade’s Expedition and Outdoor Leadership Certificate; this can be by attendance at any of our annual training courses or by making use of our ‘On Demand’ courses at a time and location to suit the needs of your Company or Battalion. 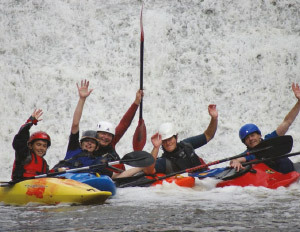 We are able to help train young people for the expedition part of the Duke of Edinburgh’s Award (particularly at Gold level in wild country) and provide D of E assessors for expeditions (particularly in wild country) for which we have not been otherwise involved. The club’s aim is to help any Company, in whatever way it wishes, to challenge its members in any aspect of mountaineering; be that by leader training or first-hand contact with its members.